Marion Monahan Hurley WF 02/03/55 was last seen on September 18, 1999 at her place of business, Par 3 Golf Course, located in Hood County Texas, by a friend who described her as being upset about her family life. Marion reportedly spent the night with her family, which consisted of her husband, William Stanley Hurley, and her two children, at the DeCordova Dam Park on the night of September 18, 1999. Marion reportedly left the park on the morning of September 19, 1999 and went to her home located in DeCordova, Texas. From there, Marion has not been seen or heard from since. Suspicious circumstances surround the disappearance of Marion that lead Law Enforcement to suspect her husband, William, as being involved in her disappearance. At this time though, there has been no evidence found that would directly link William as a suspect. William reported to Law Enforcement that Marion left with an unidentified female friend in a white passenger car and was headed to California. Marion’s neighbors report to Law Enforcement that William had told them that Marion was away visiting friends. Since Marion’s disappearance, Law Enforcement has searched the Golf Course where Marion was last seen multiple times with no discovery of any leads. Law Enforcment have searched the residence where Marion lived as well as the area around the house, again with no discovery of any leads into the whereabouts of Marion. To date, Law Enforcement has collected mitochondrial DNA from Marion’s brothers to be added into CODIS (Combined DNA Index System) in hopes that Marion can be located in the future. On 12/31/2004 a skull and several bones were found in rural Hood County in a wooded area near highway 1189 and Falls Road, the bones were later found to be human. 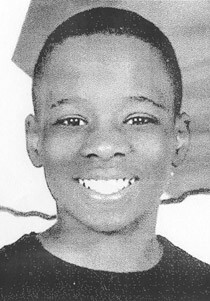 The bones were identified by DNA and dental records as belonging to 11 year old male, Cory White, a missing person reported in Dallas Texas 10/27/2002. Hood County Investigators believe that Cory may have been killed at the location or killed shortly before his body was dumped there with a possibility of someone having witnessed the actual murder or in the act of dumping the body. Investigators have some leads but are seeking persons who may have been witnesses to help solve this crime.